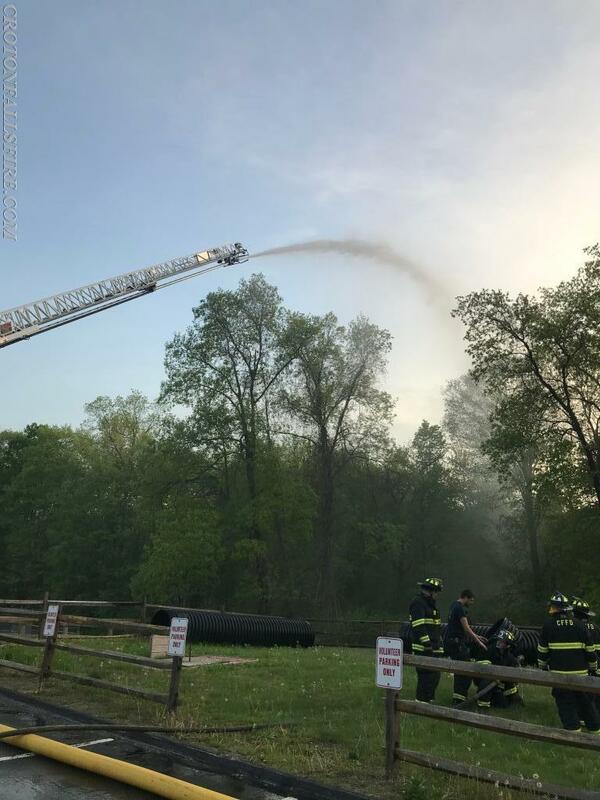 At the Department's weekly drill on Monday, May 15, 2018, water operations was the topic of training. 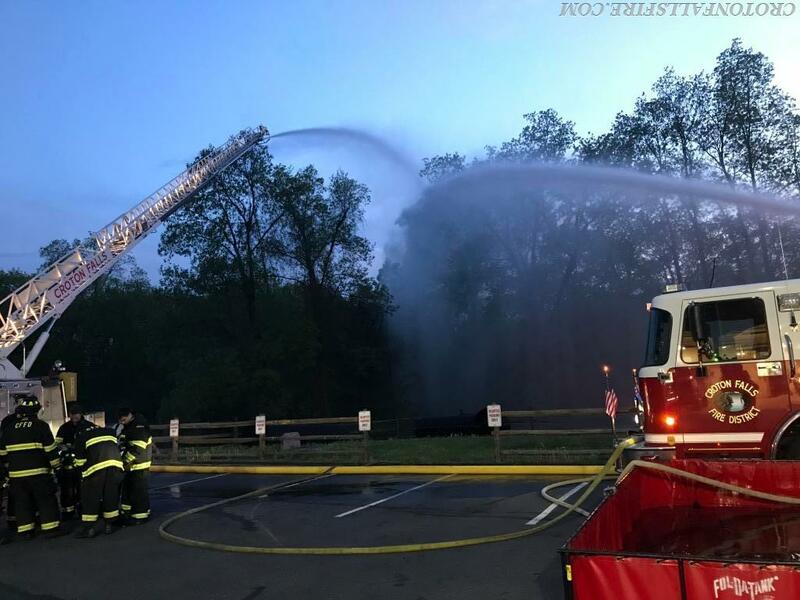 Since our fire district doesn't have dependable fire hydrants that can sustain firefighting operations, we're required to bring water to the scene to extinguish a fire. 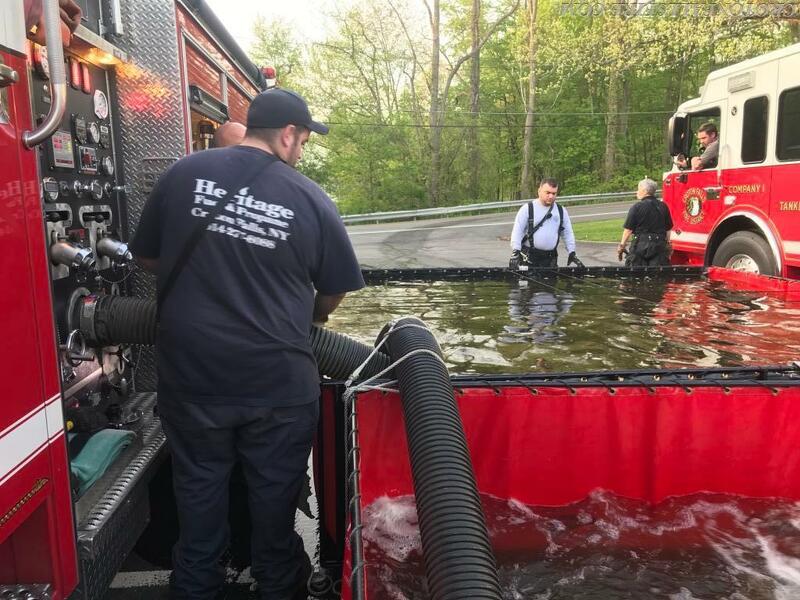 During the drill, our two tankers shuttled water to portable ponds from a local water source and a fire engine then drafted water from the portable ponds to support firefighting operations. Drafting is the process where water is drawn or pulled from a water source into an engine. The water was then used to supply the ladder pipe on Ladder 67, which simulated extinguishing a large building fire. Additionally, a hand line was also in use to give new firefighters a chance to become familiar with firefighting tactics and to practice coordinating their movements to move a hose line. L-67's ladder pipe discharged several hundred gallons of water per minute. 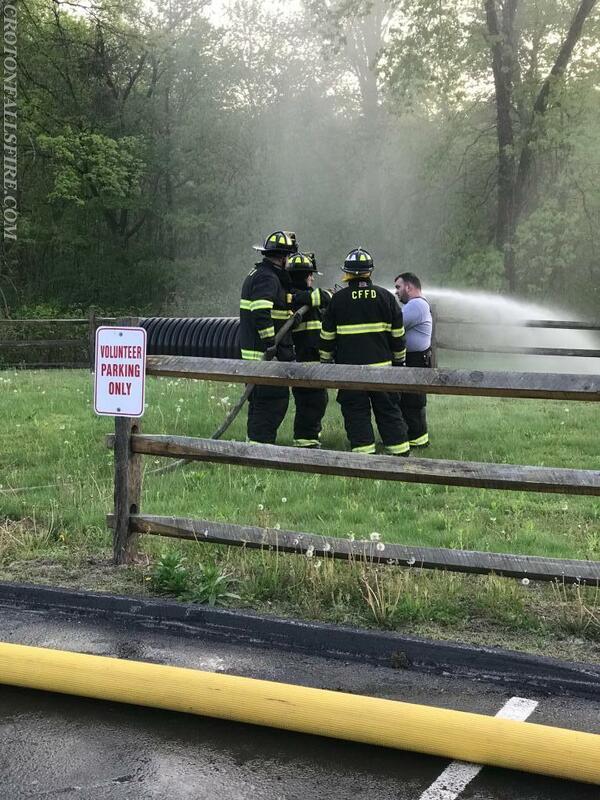 A lieutenant instructs new firefighters on hose line operations. A good view of Engine 148 drafting water from the portable ponds. 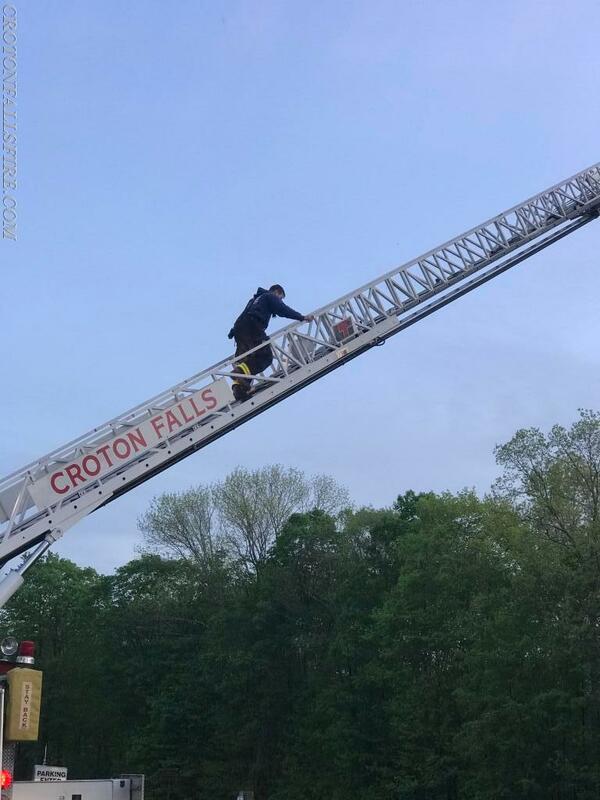 A firefighter climbs L-67 for an aerial view of the drill. Almost 1,000 gallons of water per minute are discharged by L-67 and E-148. 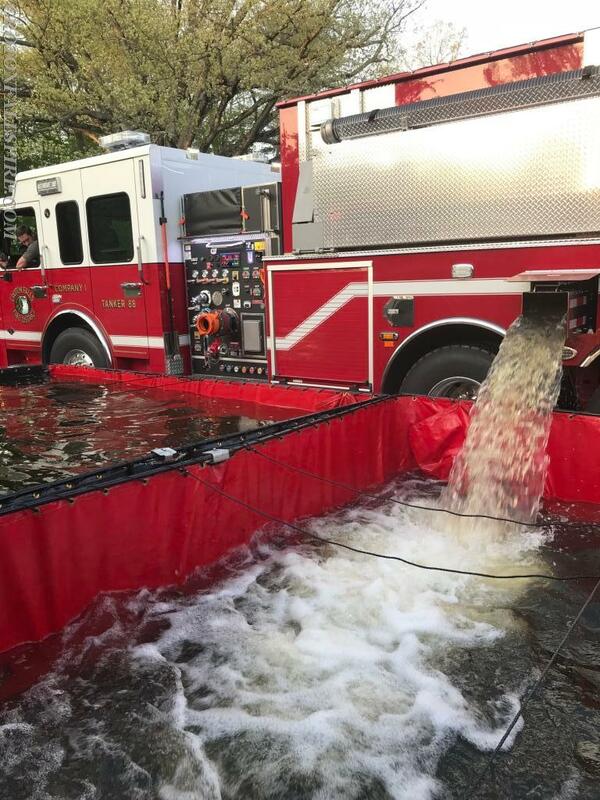 Our newest truck, Tanker 88, dumps water into one of the portable ponds. 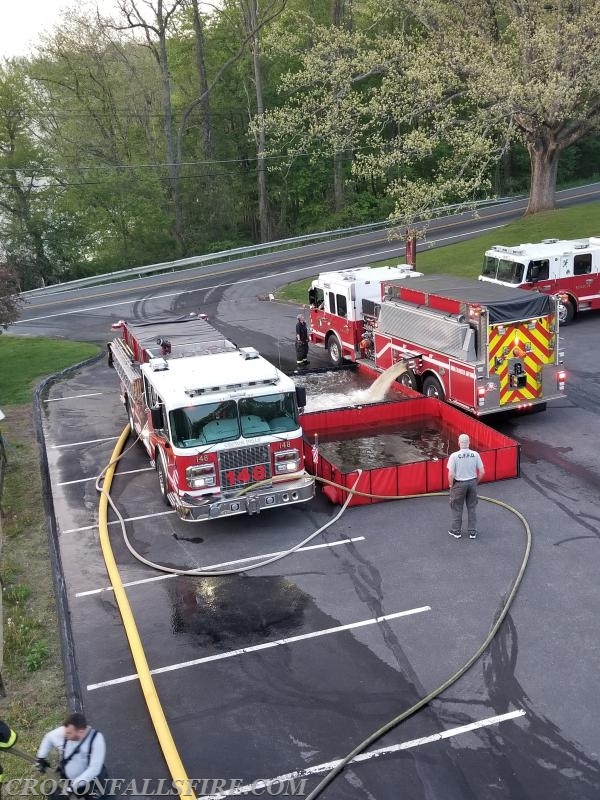 An aerial view of Tanker 88 filling a pond while Engine 148 drafts water from the pond to supply Ladder 67 (via the yellow hose line).